Tentacle Wars – Games for Android 2018. 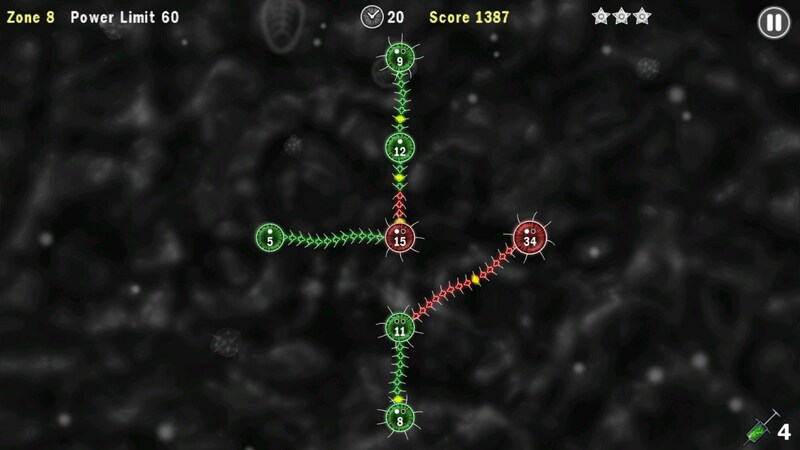 Tentacle Wars – Exciting strategy about the war of bacteria. 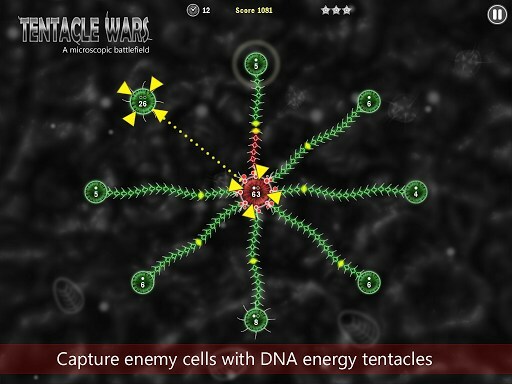 Tentacle Wars - this is very unusual and atmospheric strategy for Android, in which we will control the spread of dangerous viruses. 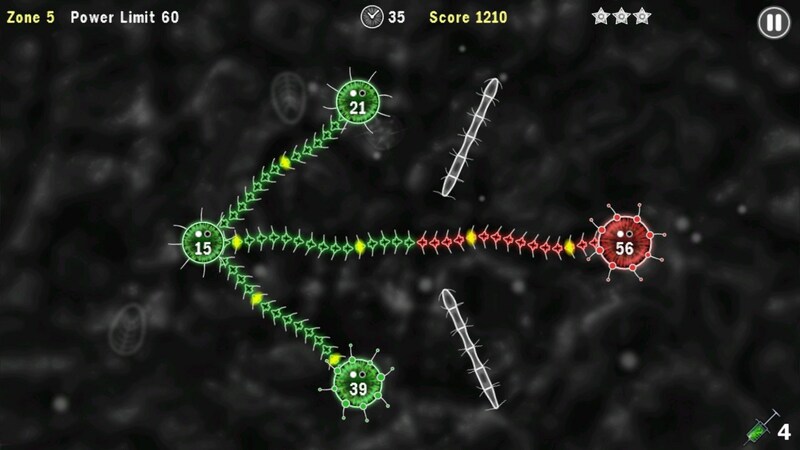 The game managed to win numerous awards for design, gameplay, and the recognition of hundreds of thousands of players in the AppStore. Now it can play and users Android, finally! Game development studio is engaged in FDG Entertainment GmbH, the creators of such great games like Blosics HD and Beyond Ynth . This game - a big experiment, because if you look at the screenshots, it is not clear what is happening here, and the full video does not give the full range of sensations. Let's just say that the developers have managed to create one of the best mobile strategies. 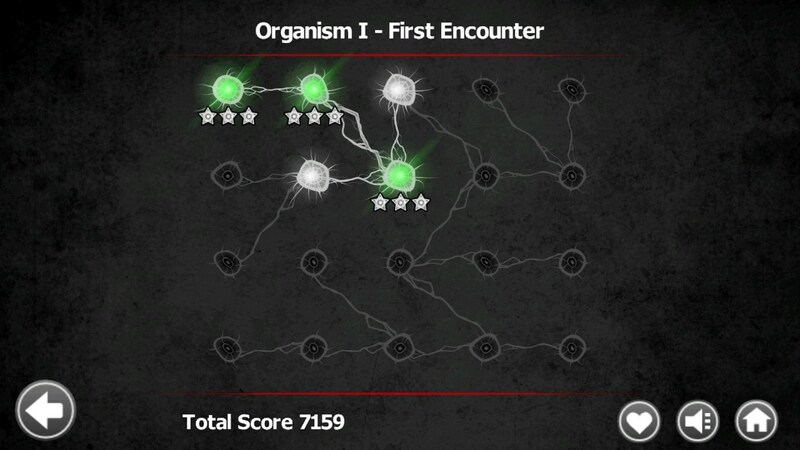 Our task in the game is to conquer all enemy nucleus of cells and eliminate the virus from the body. 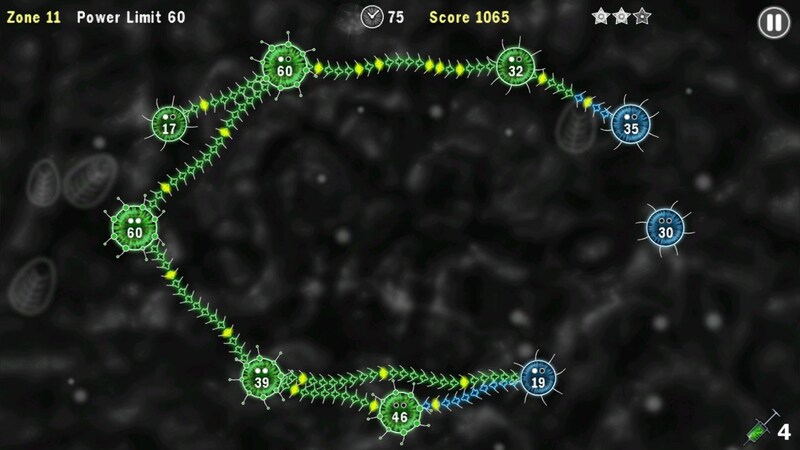 Each core is continuously generating cells that can create tentacles. By simply dragging and dropping from one core to another, we are sending a long tentacle, consisting of cells, in which a neighboring nucleus, and they will move. If you cut off a finger tentacle cells move to the new location immediately. Simply put, the Tentacle Wars developers develop and refine the idea, which was founded in games like Eufloria HD and Modern Conflict 2 . We like to mail the troops between the nuclei of cells and grab them. The main difficulty is that we play are not alone. At each level, together with us will be 1 or 2 enemies with the same problem as we have. Success depends on how well you build that exchange of cells between their cores. Because if multiple cores feed one central core, then it will grow up and turn into a fine is an organism that is able to generate a greater number of cells. Smart and very sophisticated artificial intelligence. The disadvantages of the game can be attributed too high complexity of the individual layers, which are almost impossible to walk without the use of a limited bonus, which can then be bought only for real money (and this despite the fact that the game is free). Summary. Tentacle Wars - it's a great strategy for Android with unusual graphics and atmosphere that will appeal not only to fans of the genre, but fans of puzzle games. The game is only sold as a full version for $ 2, which is a bit expensive when compared to the version for the AppStore, where the game can be purchased for $ 1.